There was an odd noise coming from the kitchen, startling me from my book. DucCat was out in the garage, buffing the Ducatis. All three cats were present and accounted for, in varying states of snooze around the den. What, then, was causing the noise? Again, that odd sort of sliding noise came, and it sounded decidedly green. 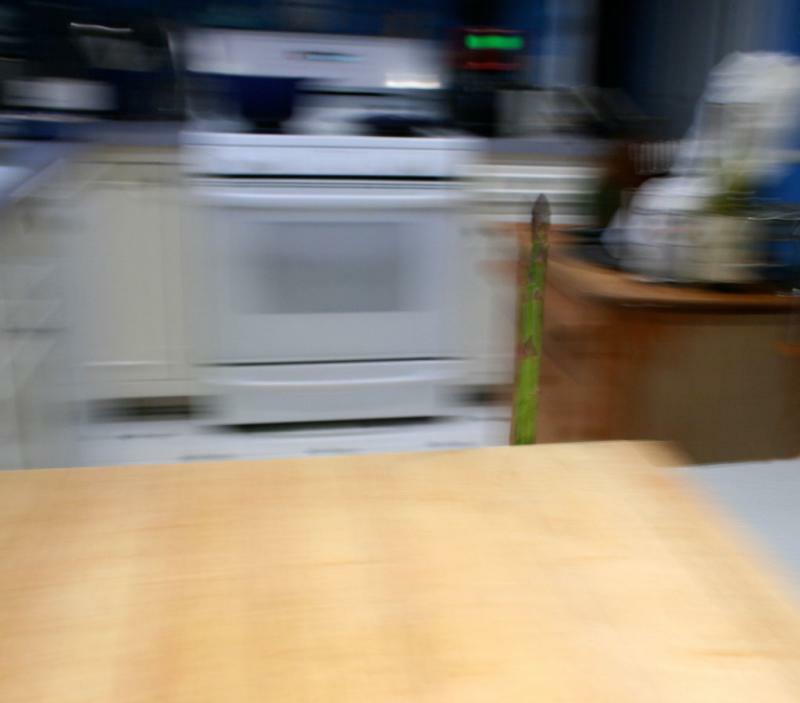 Carefully, quietly, I crept towards the kitchen, and poked my head around the corner. 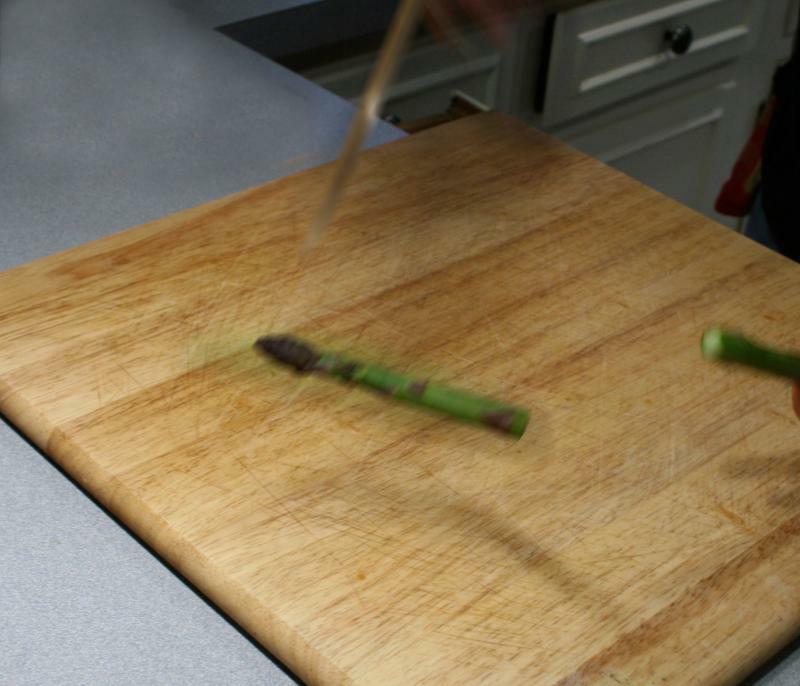 Much to my horror, a rogue asparagus was frantically scurrying about. I don't know how it got in, or what mischief it was up to- luckily, my knives were close at hand. Without hesitation, I dealt out a fistful of mercenary-style justice. Harsh, to be certain, but the laws of the kitchen are swift and without mercy. I stepped around the counter to clean up the remnants, when I came across yet another surprise. 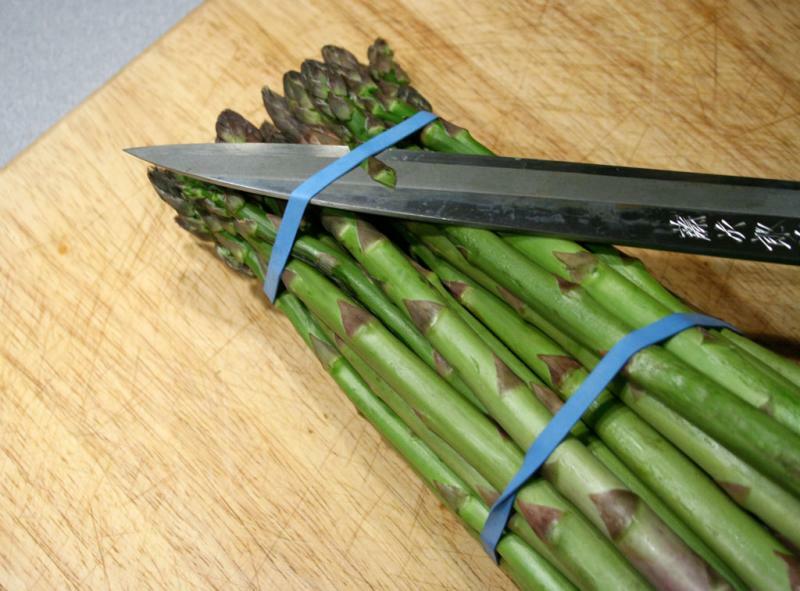 A fine, fat bunch of asparagi, trussed up, and anxious to be liberated. Cutting them free of their bonds, I dispensed of the woody ends, and sat back to ponder their fate. 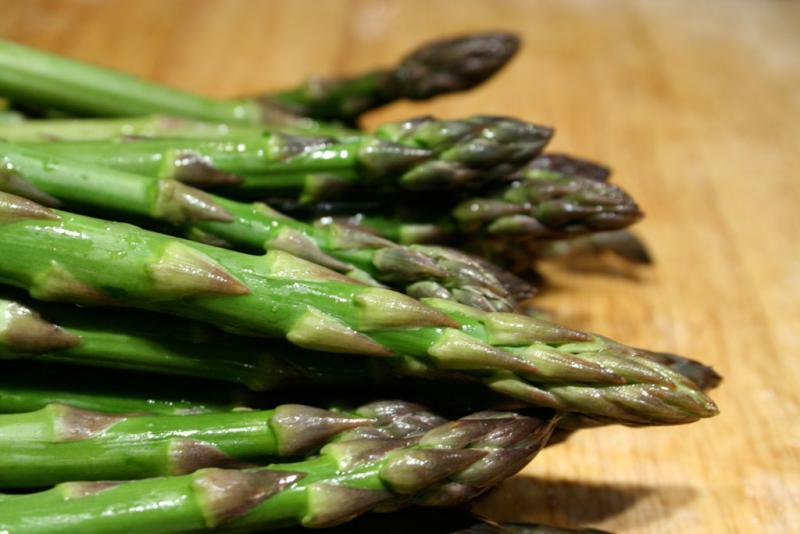 Asparagus shines in any number of preparations. Roasted, the edges slightly caramelize, and the flavour melds perfectly with salty cheeses. Steamed, it is perfectly accented with butter and a touch of salt. Dropped into a vat of boiling water 'till bright, draped with pork, and your mouth is going to party that night. So much love from such a little spear. There is one preparation that, to my taste, perfectly captures that first "Ah-ha- I really do like asparagus!" 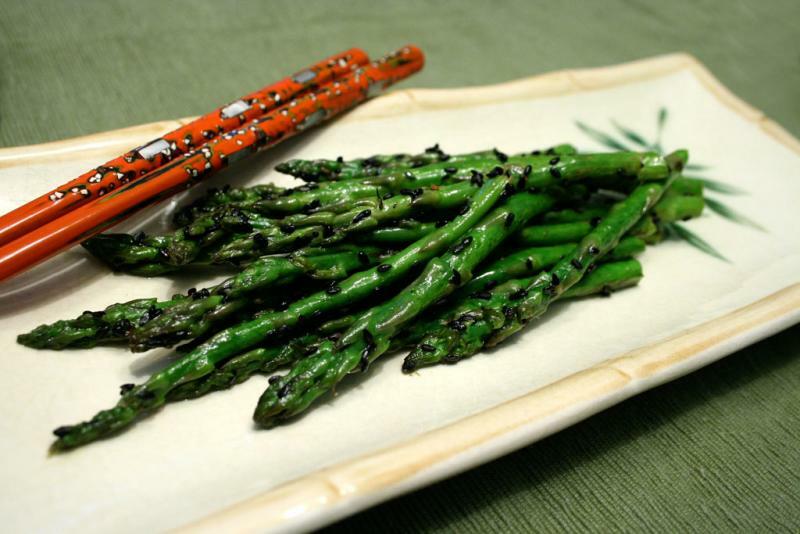 moment from my youth: black sesame asparagus. Now that your appetite has been piqued, head on over to Seriously Good for the month-long round-up known as Asparagus Aspirations. By the glory and the power that is bloggerdom, no spear shall be left behind! OMG, that is hilarious!! The recipe looks really good, but I am still giggling over the rogue asparagus. Funny post. That sounds gorgeous. Only one frown from me. Why on EARTH does it seem like everyone can find black sesame seeds except me. AAARGH! LOL! That was entirely too fun to read! 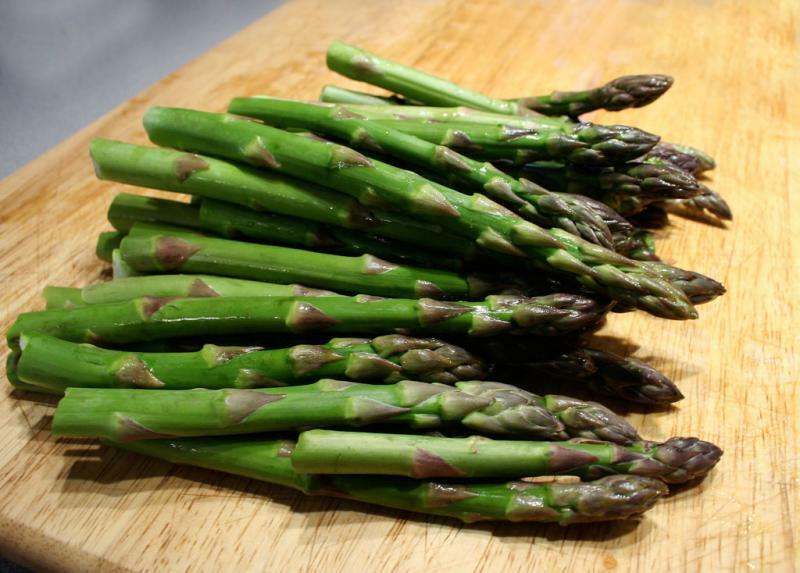 and LOVE asparagus! i am always looking for new variations...THIS one is a must. i am still laughing over your asparagus stalking....(reminds me of a certain celery stalking story featuring a certain bunnicula...)HAHAHA!!!! LOL! Alas, the treachery of asparagus ... I love your brand of swift and delicious justice! S'kat, loved the post, and the dish! ASPARAGUS RULE!!!!!! !